John R. Schreiter, age 88, of Appleton passed away on Saturday, March 23, 2019. He was born September 30, 1930 to the late Raymond and Ethel (Bentz) Schreiter, Sr. He was a graduate of St. Lawrence Seminary, Mt. Calvary, WI. He joined the United States Air Force and proudly served his country from 1951-1955. His tours of duty included service in Korea with the Advanced 5th Air Force Combat headquarters at Osan AFB (K-55). He was a member of the American Legion Post 38 and the VFW Post 2778 of Appleton. 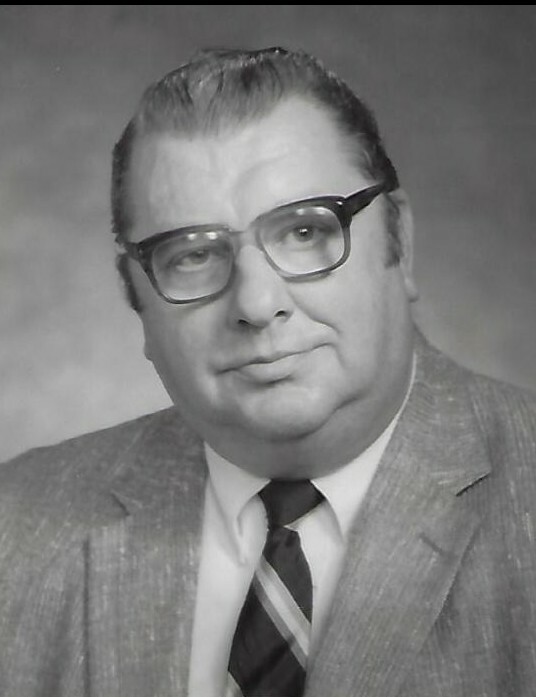 John owned and operated Automatic Heating Sales and Service from 1955 to 1979. John was united in marriage to Patricia N. Kolosso on June 22, 1957 at St. Joseph’s Catholic Church, sharing 56 years together. She preceded him in death on September 18, 2013. John and Patricia relished their retirement years in the peace and tranquility of the Athelstane area of Marinette county. They cherished weekend visits of their children and grandchildren always spending many happy hours with them. John was elected and served on the Outagamie County Board for 24 years (1955-1979). In 1976 he was chosen by his peers to the Board Chairmanship. In 1979 he was elected County Executive, serving the citizens in that capacity for 12 years. He relished the challenges of the office and found great satisfaction in assisting those in need of county services. He always felt that the mission of any elected official was to serve. Among his many achievements in government, the beginning of the reorganization of the administrative branch of Outagamie County was a highlight during his tenure. Those who served with him would agree that their accomplishments were the result of a team effort, a team spirit instilled by him. John was extremely proud of the members of his management team and other unit managers. Individually and/or collectively, they brought great honor and distinction to the County. Some of those honors include the designation of Outagamie County having had the top Child Support Agency in the State of Wisconsin; the second county in the State to remove all budget costs of Airport Operations from the Property Taxes; a waste to energy program converting methane landfill gases to steam and electric power; the second of 72 counties to be awarded the Certificate of Conformance, an award recognizing excellence in budgeting and accounting procedures. John was most grateful to the citizens of Outagamie County for the privilege of serving them. He was humbled by the support given to him by the Editors of the Appleton Post Crescent in their Editorial of April 2, 1987, which stated, “… Schreiter has worked in capable, often inspirational fashion, performing administrative tasks which are so complex and have such far-reaching impact on all county residents.” “More to the point, Schreiter has left his mark on all aspects of county government business, whether it’s been oversight of the day-to-day operations of the many county department heads, dealing with the state bureaucrats and officials who have much to say about county spending practices, or communicating with a diverse public. We salute him for a life of remarkable achievements within Outagamie County. Most importantly as our beloved father, grandfather, great-grandfather, and adored husband for fifty-six years to our late, much missed mother, Patricia. John is survived by his son Frank (Mary Beth) Schreiter, his daughters: Lisa Lochner, Martha Schreiter, Katherine Kalinski and Sharon Schreiter-Campshure; grandchildren: Christopher (Missy), Robert (Kaylee), Sarah (Larry), Eric(Melissa), Lexy(Judge), Brandon and Nathan; great-grandchildren: Lincoln, Mia, Caitlyn, Taylor, McKenzie, McKenna, Shelby, Jaelynn, Emma, Abby Braelyn, Audrey and Lola; and a great-great-grandchild Lilah. He is further survived by his sister Rita Lillge-DeGroot; his brother Richard; sisters-in-law Irene Cagle, Joanne Kolosso, Joan Kolosso, and Ester Schreiter; and his godchild Kris (Steger) Muntner. He is also survived by numerous nieces, nephews and very special friends, too many to mention, but not forgotten. He was preceded in death by his parents; his in-laws Robert and Stella Kolosso; his dear son Jeffery; brothers: Robert, James, Father Dan, Raymond Jr. and Clement; sisters: Barbara Steger and Marie Laux; sisters-in-law: Ruth Schreiter, Lucy Schreiter, Rita Schreiter and Mary Jane Schreiter; brothers-in-law: Robert Steger, Robert Laux, Walter “Bud” Lillge Jr., James DeGroot, Robert Kolosso Jr., Donald Kolosso, Jerome “Butch” Kolosso Sr. and George Cagle; his nephews Thomas Schreiter and Jerome “Butchie” Kolosso Jr.; and grand-nephew Adam Boelter. A Mass of Resurrection will take place at 11:00 a.m. on Saturday, March 30, 2019 at SAINT JOSEPH CATHOLIC CHURCH, 404 W Lawrence Street, Appleton with Father James Leary, OFM Cap officiating. Friends may visit the night before on Friday, March 29, 2019 at BRETTSCHNEIDER TRETTIN NICKEL FUNERAL CHAPEL, 606 N. Oneida Street from 4:00 p.m. until 7:00 p.m. with a prayer service to conclude the evening. Visitation will resume the following day at church from 9:00 a.m. until the time of service. In lieu of flowers, a memorial to the St. Lawrence Seminary Scholarship Fund has been established and will be appreciated and prayerfully accepted. The family would like to extend a special thank you to Ascension Hospice and to the nurses on the 4th floor at St. Elizabeth Hospital.